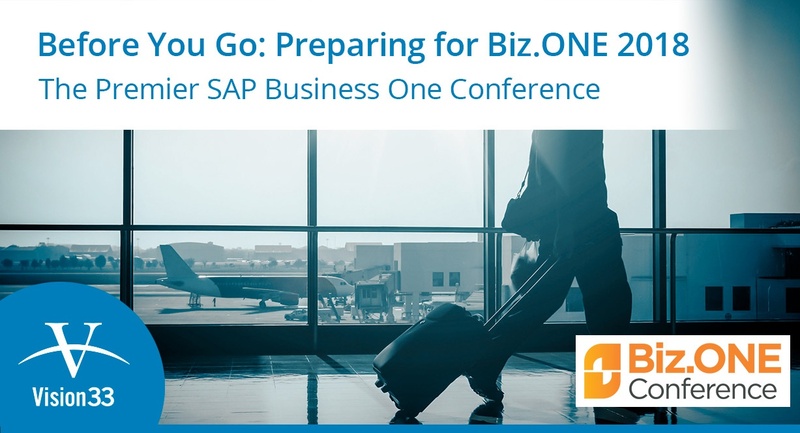 With the Biz.ONE Conference just around the corner now is a great time to review the agenda in more detail to ensure that you get the most out of this year’s premier SAP Business One conference. If you are an SAP Business One user, or it’s part of your business, then you really need to be at this event. Biz.ONE event attendees will walk away with inspiration, tips/tricks, and best practises. With these tools, you’ll ultimately be able to move your business forward and further leverage your investment in SAP Business One. Here’s what’s in store for SAP Business One users this year. There’s no doubt that SAP Business One possesses the flexibility to achieve your business objectives. If you’re interested in finding out how somebody else used SAP Business One, then check the agenda to find out when an expert, a customer, or an inspirational speaker will be on stage sharing their experiences. The line-up this year includes eight keynote speakers that will share stories about success, and provide context on where the solution is today and where it goes next. Biz.ONE also offers a chance for participants to brush up on their swing. David Leadbetter, world famous golf coach, hosts a Charity Golf Tournament on Sunday rounding out the Biz.ONE experience. A portion of the registration fees for this event will be donated to the Leadbetter Kids' Foundation. There’s no better place to connect with representatives from SAP. Speak directly with the team behind the solution, learn more about the product road map, and hear firsthand about new innovations and upcoming features. SAP Business One is supported by an ecosystem of certified add-on solutions that address industry-specific needs of users. Biz.ONE offers a great opportunity to learn more about automating processes, adding e-commerce to your website and more. Start planning early to take advantage of the many learning opportunities available to you at this year’s Biz.ONE. To learn more about what to expect and to register visit the Vision33 Biz.One event page. The team at Vision33 hopes to see you there!